After Amazon changed the Authorization Model for MWS developers authentication, we had to put a temporary halt on the inventories and orders sync functionalities. There were some development tasks ongoing for to adopt with this change. The authorization of the developer account was also necessary to continue providing product listing, and sync functionalities to ExportFeed users. 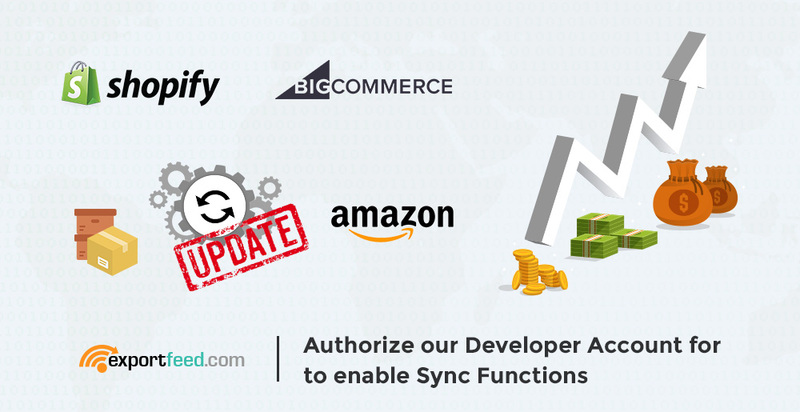 As per Amazon’s direction, “asking for developer access credentials to customers to gain access to seller accounts through the MWS API”, so, we have authorized our developer account and implemented it in our cloud service. How to authorize the developer account of ExportFeed to access your MWS? When you login to your Amazon Seller central, click on the gear icon at the top right. Copy that information and paste it in the ExportFeed cloud Amazon Connection part. After completing this process, you will be able to create your product listings on Amazon USA, CA and MX by creating product list and directly uploading your products to Amazon. If you have any difficulty in setting up your Amazon connection with ExportFeed cloud, please feel free to send a message to our support team via live chat or support tickets. However, if you haven’t used ExportFeed yet or it has been a long time, please feel free to try our apps. How to start selling products of WooCommerce on Walmart marketplace? Sell your products from Shopify to Amazon! & 2 way real-time inventory sync.